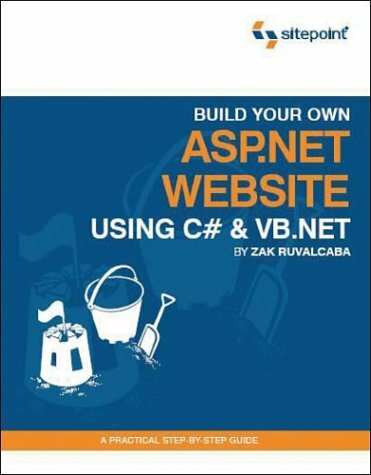 Unlike most beginner books, SitePoint allow readers to choose between two programming languages, VB.NET or c#, when creating any of the applications in the book. Zak Ruvalcaba holds a Master of Science in Instructional Technology from the National University in San Diego. He has developed Web applications for such companies as Gateway, HP, Toshiba, and IBM. Previous books by Zak Ruvalcaba include The 10 Minute Guide to Dreamweaver 4 (Que Publishing) and Dreamweaver MX Unleashed (Sams Publishing).